Today we are going to talk about nouns and genders in Swedish. It’s a bit special. Let’s get it started! In most languages, when talking about gender, we typically come up with a masculine, a feminine and a neuter but not in Swedish. 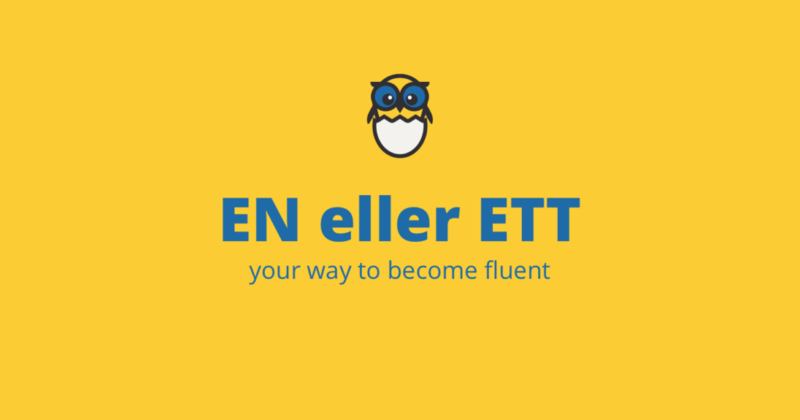 We have only two choices in Swedish: every noun is either an ett or en noun. I recommend you to memorise the gender of each word. It will help you with the creation of the definite form of the word as well as with other grammatical issues (adjectives for instance). If you add en or ett in front of a word it is the equivalent to English a and an. And how do we make a the word in Swedish? In most cases you add en/ett at the end of the word or n/t if it ends with a vowel. We have learned Swedish genders of nouns in today’s lesson. It looks pretty simple, right? But it wouldn’t be that nice if there weren’t any exceptions. For sure there are, it’s grammar. We will take a look at these exceptions later on in one of the up-coming lesson.